DREISS Patentawälte PartG mbB is an internationally operating patent attorney law firm with headquarters in Stuttgart (Baden-Württemberg, Fed. Rep. of Germany). 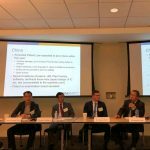 We represent small and medium-sized enterprises, as well as individual inventors and multi-national companies and provide our legal advice with regard to patent, trademark and design protection, as well as all other intellectual property areas (patent and utility model rights, trademark rights, design protection, license agreements, employee inventions). 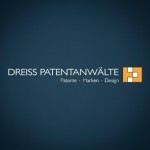 The patent attorneys of DREISS are specialized in: electric and electronic systems, semiconductors, mechanical engineering and plant construction, control and regulation technology, energy technology, manufacturing technology, automotive technology, plastics technology, software and computers, medical technology and process technology.